When it comes to sporting equipment, tall people tend to benefit from longer stuff. This is common knowledge. So when it comes to golf clubs for tall people, you would think everyone would agree that extra long golf clubs are the way to go. Yet this is a topic that raises a lot of controversy. Hopefully this article will help the tall golfers out their start to make some sense of it all, and guide them when it comes to golf club length and golf club extensions. To tee things off, let’s begin by hypothetically thinking of the golf club sizing problem from a purely ergonomics perspective. An aim in ergonomics is to ensure that the joints of the body are positioned within a desired range. At your computer, for example, elbows should be somewhere near ninety degrees. This is the case regardless of how tall someone is. If you apply this paradigm to golf club sizing, then an eighteen percent taller person will require eighteen percent longer golf clubs. However, the length of a golf club affects a lot more than just ergonomics. And there is a trade-off with longer golf clubs for tall people. For example, a longer golf club results in higher club face velocity but at the cost of accuracy. This is why drivers have longer shafts than chipping wedges. And given tall people already have longer arms, proportionally longer golf clubs tend not to be worth the sacrifice in accuracy. This is why golf club sizing charts only specify slightly longer golf clubs for tall people. For instance, at 6’7″ I’m almost twenty percent taller than average, but am recommended less than five percent longer golf clubs (2″ golf club extensions). It’s important to note that it isn’t so much overall body height, but rather wrist height that matters. So a taller person with exceptionally long arms might actually do just fine with standard length golf clubs. The opposite of course is also true; short armed tall people will require very long golf clubs. But in general, tall people benefit from moderately longer golf clubs. So far we’ve established that tall people tend to benefit from longer golf clubs, but still less than proportionally longer. 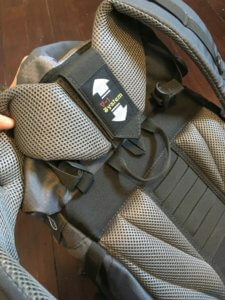 This means that body posture will change. 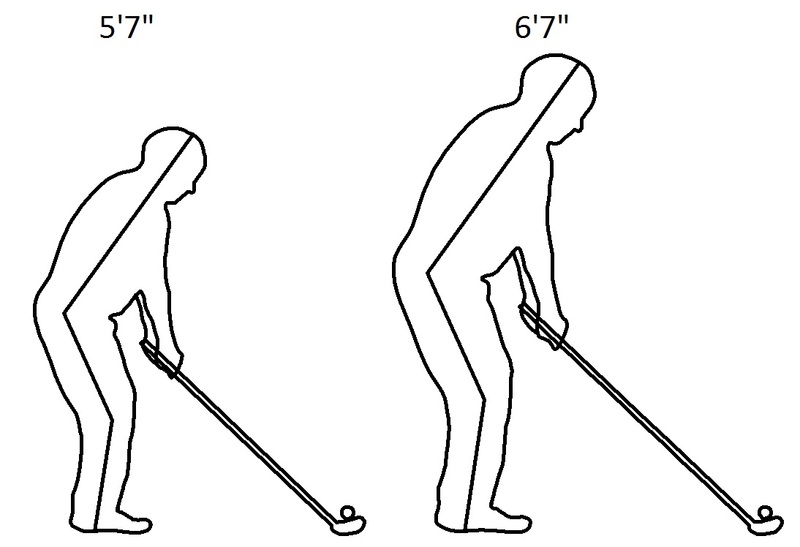 Specifically, a taller golfer will tend to golf more upright, with the golf club closer to vertical. This means that the bottom of the golf club head will no longer be horizontal. 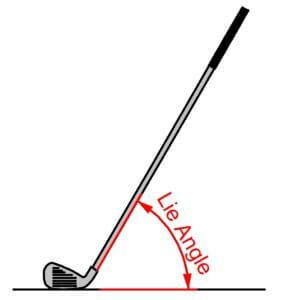 The way this is corrected is by increasing the lie angle of the golf club. There are a lot of golf club sizing charts out there to help you figure all this out. The better approach though is to get a custom fitting at a reputable golf shop. They can then add golf club extensions to get your golf clubs to the right length and also adjust the lie angle. But if you do want to go the DIY route, you can find some fairly inexpensive golf club extensions for tall people online, as well as longer golf clubs to begin with. Another handy addition to extra long golf clubs for tall people is large grips, as we tend to have larger hands. Up to this point, I think most golfers will agree with what I’ve said. But I have a bit more to add. And that is that the industry as a whole has underestimated how much golf clubs should scale with body height. I believe the source for this is the high cost of accommodating outliers such as tall people (economy of scale). You see this issue in other sports too, like cycling. And perhaps it has to do with more than just money, as is made clear by the 48″ golf club maximum allowable length imposed by the United States Golf Association. And sadly, unlike the NHL for hockey stick length, they don’t loosen limits for tall people (though illegal clubs do exist, like the Juggernaut shown earlier). In support of this is the fact that a plot of both childrens’ golf club sizing and adults’ shows a discontinuity along the slope. 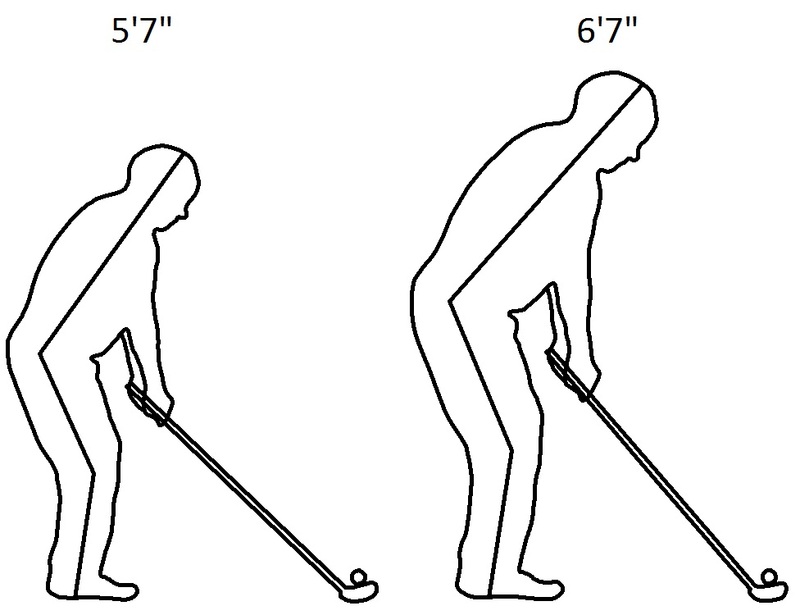 More intuitively, if you take a seven foot tall person and give them a mere 3″ extra golf club shaft extension, as a typical sizing chart would extrapolate to do, I think we would all agree the fit is ridiculously off. So my final suggestion is to take golf club sizing charts and custom fitting with a grain of salt, and experiment with shaft length to see what works best for you. If you do decide to go with more than the 2″ standard golf club extension limit, you may need a custom shaft, as extensions start to get fragile at 2″ and beyond (I snapped one just a couple weeks ago). Now, enough with all the talk, let’s get out there with our extra long golf clubs for tall people and whack some balls! How do I get more infor for my grandson who is turning 21 and need longer clubs. 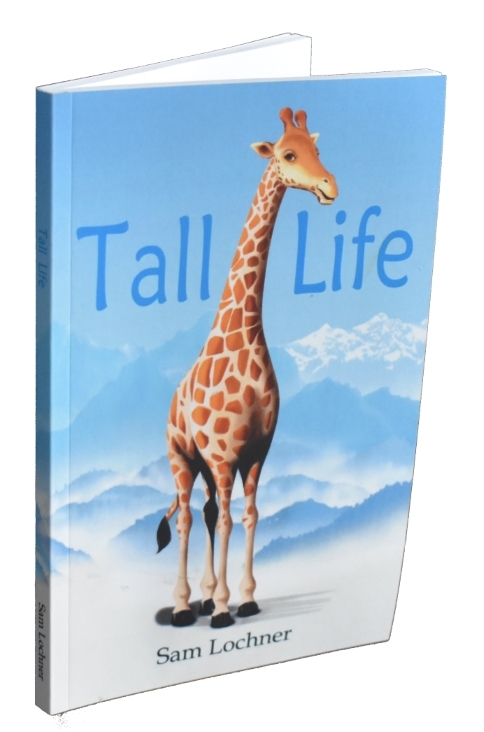 At 6′ 6″ I appreciated your article. I’ve lived with +2 on irons, +1 on hybrids and standard length on woods for years. 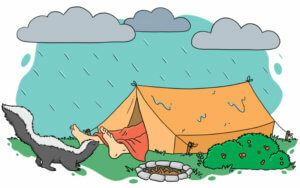 I’ve always thought I needed more length – but it’s difficult for shorter fitters to accept that thinking. I recently decided to go longer and ended up going with Cobra One Length. They are going to be +2 – but the One Lengths are all built to a 7 iron length as standard. Essentially my 7 irons will still be +2 but the shorter irons will be significantly longer. 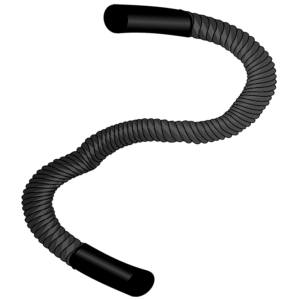 The One Lengths offer the advantage of swingweights that will be closer to typical. Hoping this works well – will know soon. There’s similar resistance elsewhere, like crank lengths in cycling, and even beyond ergonomics, like in the dosage of prescription drugs. An odd phenomenon–perhaps a psychologist could explain it.